STT provides the ISU Series for the OEM product designer needing to incorporate an angle measurement solution into new or existing equipment. The ISU Series of inclinometers are self contained, ready-to-use angle measurement circuit modules which provide multiple digital output options. The ISU incorporates STT's proprietary, ruggedized, non-contact capacitive sensor and precision measurement circuitry to provide a cost-effective combination of accuracy, range, and operating temperature in an easy to use solution. The ISU Series of Single-Axis Digital Inclinometers from STT are self-contained, ready-to-use circuit modules which provide real-time digital measurements of angular displacement through a full 360 degree range. The ruggedized, non-contact capacitive sensor is combined with precision measurement circuitry to provide a cost-effective combination of accuracy, range, and operating temperature in an easy to use footprint. The units can be used in a wide variety of applications, accept a standard 5 Volt DC supply, and provide both RS-232 and Pulse Width Modulated (PWM) outputs. 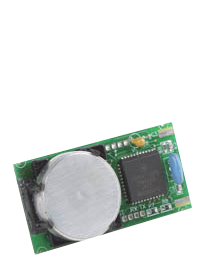 The ISU is a compact, conformal coated circuit board module which is available in three different accuracy ranges. All of the modules feature a wide operating temperature range of -30 to +55?C and a storage temperature range of -55 to +65(C). Programmable options include power auto-shutoff and 4-bit addressability allowing multiple ISUs to be 'party-lined' together for applications requiring multiple sensors.